Following the rejection of his Continental System by Czar Alexander I, French Emperor Napoleon orders his Grande Armée, the largest European military force ever assembled to that date, into Russia. The enormous army, featuring some 500,000 soldiers and staff, included troops from all the European countries under the sway of the French Empire. During the opening months of the invasion, Napoleon was forced to contend with a bitter Russian army in perpetual retreat. Refusing to engage Napoleon's superior army in a full-scale confrontation, the Russians under General Mikhail Kutuzov burned everything behind them as they retreated deeper and deeper into Russia. On September 7, the indecisive Battle of Borodino was fought, in which both sides suffered terrible losses. On September 14, Napoleon arrived in Moscow intending to find supplies but instead found almost the entire population evacuated, and the Russian army retreated again. Early the next morning, fires broke across the city, set by Russian patriots, and the Grande Armee's winter quarters were destroyed. After waiting a month for a surrender that never came, Napoleon, faced with the onset of the Russian winter, was forced to order his starving army out of Moscow. During the disastrous retreat, Napoleon's army suffered continual harassment from a suddenly aggressive and merciless Russian army. Stalked by hunger and the deadly lances of the Cossacks, the decimated army reached the Berezina River late in November, but found their way blocked by the Russians. On November 27, Napoleon forced a way across at Studenka, and when the bulk of his army passed the river two days later, he was forced to burn his makeshift bridges behind him, stranding some 10,000 stragglers on the other side. From there, the retreat became a rout, and on December 8 Napoleon left what remained of his army to return to Paris. Six days later, the Grande Armée finally escaped Russia, having suffered a loss of more than 400,000 men during the disastrous invasion. Oswald Boelcke, one of the earliest and best German fighter pilots of World War I, makes the first operational flight of the Fokker Eindecker plane. The years of the First World War, 1914 to 1918, saw a staggering improvement not only in aircraft production, but also in technology, on both sides of the conflict. The war began just a decade after Orville and Wilbur Wright made their historic 12-second flight at Kittyhawk, North Carolina; by 1918, fighter airplanes had been developed that could serve purposes of observation and reconnaissance, tactical and strategic bombing, direct attack on ground and air targets and use in naval warfare. The Fokker Eindecker, a plane equipped first with one and eventually with two machine guns that could fire straight ahead through the aircraft's propellers, would have a huge impact on air combat in the Great War and would put the Luftstreitkrafte, the German Air Service, far ahead of the Allied air forces for several months during the summer of 1915. The British referred to this as the Fokker Menace or the Fokker Scourge. The plane's designer, Anton Fokker, had based the concept of synchronization, or the precise timing of the propeller blades to avoid being struck by the machine gun bullets, on an aircraft designed by France's Morane-Saulnier corporation and flown by the famous French ace Roland Garros when he was shot down in April 1915 by the Germans. The Fokker Eindecker, or Fokker E, plane made German pilots like Boelcke and Max Immelmann into national heroes, as the number of their kills increased exponentially. By the end of the summer of 1915, the Allies had managed to develop their own planes to rival the Fokkers, and balance was restored. Another German air menace reared its head in early 1917, though, as the new German Albatros planes decimated the British Royal Flying Corps in the skies over France. Soon, however, Allied aviation technology and production began to far outstrip the German efforts, as aerial combat became less a question of individual battles by heroic pilots than a matter of mass-production capability. In the last year of the war, Britain, France, and the United States jointly produced an average of 11,200 aircraft and 14,500 engines per month, while their financially struggling German counterparts managed below 2,000 of each. First Battle of the Somme: Joffre launches his long-planned Allied offensive with a week-long artillery bombardment. Here we had received our baptism of fire, in October and November 1914. With a burning love of the homeland in their hearts and a song on their lips, our young regiment went into action as if going to a dance. The dearest blood was given freely here in the belief that it was shed to protect the freedom and independence of the Fatherland. In July 1917 we set foot for the second time on what we regarded as sacred soil. Were not our best comrades at rest here, some of them little more than boys, the soldiers who had rushed into death for their country's sake, their eyes glowing with enthusiastic love. The older ones among us, who had been with the regiment from the beginning, were deeply moved as we stood on this sacred spot where we had sworn "Loyalty and Duty unto Death". Three years ago the regiment had taken this position by storm; now it was called upon to defend it in a grueling struggle. The American Expeditionary Force (AEF) and the First Division—an amalgam of existing regular army units—under Major-General John J. Pershing arrive in France. Pershing calls for a million-man army overseas by May 1918. Walther Rathenau, the son of Emil Rathenau, a successful Jewish businessman who founded Allgemeine-Elektrizitats-Gesellschaft (AEG), was born in Berlin on 29th September, 1867. He studied science and philosophy at Berlin University before obtaining his doctorate in 1889. After university Rathenau joined AEG and by the outbreak of the First World War he was head of the company. He also worked for the government in the Raw Materials Department of the War Ministry. After the war Rathenau helped form the German Democratic Party. He also wrote The New Economy (1918) where he rejected state nationalization of industry but instead advocated that employees should play a greater role in the management of companies. In 1921 Karl Wirth appointed Rathenau as his minister of reconstruction. The following year he became foreign minister. He upset right-wing nationalists like Adolf Hitler by arguing that Germany should fulfill Germany's obligations under the Treaty of Versailles. However, at the same time he worked with Matthias Erzberger, the minister of finance, to try and show that the terms of the treaty were too harsh. Rathenau also upset German conservatives by negotiating the Treaty of Rapallo with the Soviet Union. He was now criticized by the leaders of the Nazi Party who claimed he was part of a Jewish-Communist conspiracy. 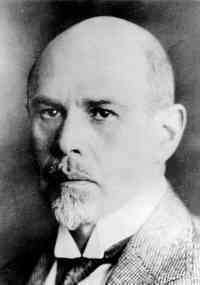 Walther Rathenau was assassinated by two right-wing army officers on 24th June, 1922. 1924 Weimar: Dr. Karl Haushofer visits Hess and Hitler in Landsberg prison: Prison records show that between June 24 and November 12 he visited them eight times, always on Wednesdays and staying the whole morning and afternoon. Karl Haushofer, the son of Max Haushofer, a professor of economics, was born in Munich on 27th August, 1869. In 1887 he joined the Imperial German Army. He served in the 1st Field Artillery Regiment and later studied at the Artillery Academy and the Bavarian War Academy. In 1896, he married Martha Mayer Doss, the daughter of a Jewish merchant from Mannheim. In 1908 he was sent to Tokyo. Haushofer learnt Japanese and became an expert on South and East Asia. 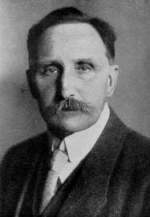 Haushofer continued his studies and received a degree in Geography, Geology, and History from the University of Munich in 1913. During the First World War he served on the Eastern Front in Russia and the Western Front in France. 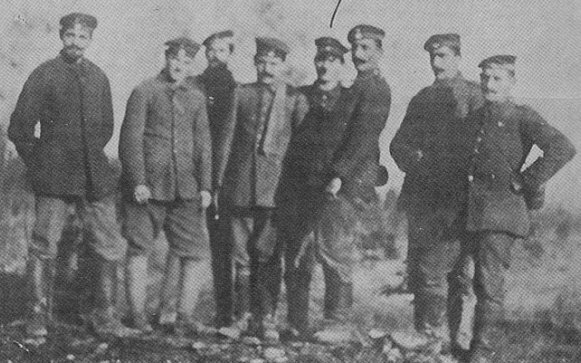 By 1918 he had reached the rank of Major-General and in 1918 supervised the return of the Thirtieth Bavarian Reserve Division from Alsace to Bavaria. In 1919 Haushofer retired from the German Army and started teaching geopolitics at the University of Munich. Based on the writings of Oswald Spengler, Alexander Humboldt, Karl Ritter, Friedrich Ratzel, and Halford J. Mackinder, Haushofer developed the theory that the state is a biological organism which grows or contracts, and that in the struggle for space the strong countries take land from the weak. One of Haushofer's students was Rudolf Hess. Haushofer's teachings inspired Hess to write a prize-winning essay: "How Must the Man be Constructed who will lead Germany back to her Old Heights?" It included the following passage: "When necessity commands, he does not shrink from bloodshed . . . . In order to reach his goal, he is prepared to trample on his closest friends." In 1920 Hess heard Adolf Hitler speak at a political meeting. Hess remarked: "Was this man a fool or was he the man who would save all Germany." 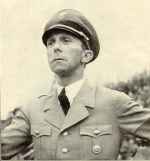 Hess was one of the first people to join the National Socialist German Workers Party (NSDAP) and soon became a devoted follower and intimate friend of Hitler, who was also influenced by the teachings of Karl Haushofer. In November, 1923, Rudolf Hess took part in the failed Beer Hall Putsch. Hess escaped and sought the help of Karl Haushofer. For a while he lived in Haushofer's home, Hartschimmelhof, in the Bavarian Alps. Later he was helped to escape to Austria. Hess was eventually arrested and sentenced to 18 months in prison. While in Landsberg he helped Adolf Hitler write Mein Kampf. 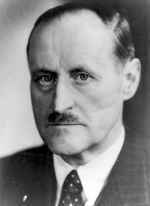 According to James Douglas-Hamilton (Motive for a Mission) Haushofer provided "Hitler with a formula and certain well-turned phrases which could be adapted, and which at a later stage suited the Nazis perfectly." 1927 Romania: The Legion of the Archangel Michael is founded. The German Congress of Christian Trade Unions is dissolved. Resistance: The Association of Jehovah's Witnesses in Germany states that they have no quarrel with the Nazi regime and its principles except for swearing an oath of loyalty to Adolf Hitler. Note: This qualification alone will be enough for the Nazis to justify systematically eliminating virtually all Witnesses over the next twelve years. In addition, however, they fearlessly added to their danger by publishing an open letter which criticized the persecution of the Jews. 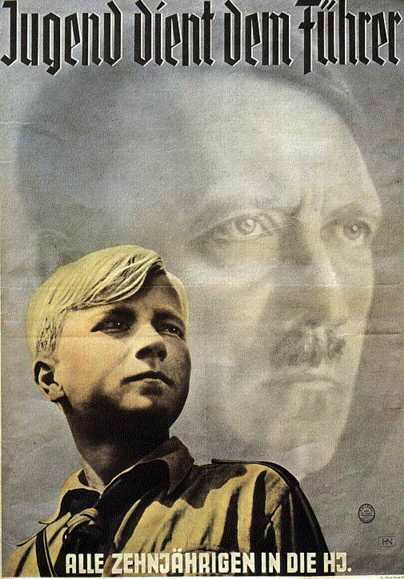 1935 Holocaust: The Hitler Youth take a formal oath "to eternally hate the Jews." On this count alone, it is hard to understand why Baldur von Schirach, Youth Leader of the German Reich, was not hanged at Nuremberg. Long years of anti-German propaganda campaign persuaded the whole world that Germany was a nation of barbarians, uncivilized and inhumane, and that it was the moral and cultural obligation of the rest of the earth to destroy Germany and to break its power. Only then could the world know peace and friendship. That made it easy for the rest of the world to join England in fighting Germany. We Germans had no idea how to respond. We watched the English campaign with honest stupidity. An armistice is concluded between France and Italy at Villa Indusa near Rome. In connection with the entry of Soviet troops in the Baltic countries, rumors have recently again been spread to the effect that 100 to 150 divisions have been concentrated at the Lithuanian-German border, that this concentration of Soviet troops was due to the Soviet Union's dissatisfaction with Germany's successes in the West, and that this revealed a deterioration in Soviet-German relations, and is designed to exert pressure on Germany. Lately, various versions of these rumors are being repeated almost daily in the American, Japanese, English, French, Turkish and Swedish press. Tass is authorized to state that all these rumors, the absurdity of which is obvious anyway, by no means correspond to the truth. In the Baltic countries there are actually neither 100 nor 150 divisions, but altogether no more than 18 to 20 divisions, and these divisions are not concentrated at the Lithuanian-German border but in the various districts of the three Baltic Republics, and their purpose is not to exert 'pressure' on Germany but to provide a guarantee for the execution of the mutual assistance pacts between the U.S.S.R. and these countries. Responsible Soviet circles are of the opinion that the spreading of these absurd rumors aims particularly at clouding Soviet-German relations. These gentlemen, however, pass off their secret wishes as reality. Apparently, they are incapable of grasping the obvious fact that the good neighborly relations, resulting from the conclusion of the Non-aggression Pact between the U.S.S.R. and Germany, cannot be shaken by any rumors or petty poisonous propaganda, because these relations are not based on motives of opportunism but on the fundamental interests of the USSR and Germany. After the conclusion of our conversation of yesterday concerning Bessarabia (cf. telegram No. 1212 [1205?] of June 23d) Molotov, with obvious complacency, brought up the Tass communique of June 22, whereupon I expressed my appreciation. I infer from the wording of the communique that Stalin himself is the author. The refutation of numerous rumors now circulating concerning differences between Germany and the Soviet Union and concerning troop concentrations in connection with Soviet operations in the Baltic region, and the unequivocal clarification of German-Soviet relations ought to be altogether to our advantage at this important juncture. However, the further aim of the communique, to emphasize German-Soviet solidarity as a preparation for the solution of the Bessarabian problem is just as plain. As far as I can remember the following took place at that time: At the time of the delimitation of the mutual spheres of interest in Eastern Europe, the Soviets stressed their interest in Bessarabia when the Southeast of Europe was mentioned. On this occasion I stated orally our disinterestedness in the Bessarabian question. However, in order not to put down explicitly in written form the recognition of the Russian claim to Bessarabia because of the possibility of indiscretions, with which we had to count in view of the then still very vague German-Russian relationship, I chose a formulation of a general nature for the Protocol. This was done in such a way that when the Southeastern European problems were discussed I declared very generally that Germany was politically disinterested in "these areas," i.e., in the Southeast of Europe. The economic interest of Germany in these Southeastern European territories was duly stressed by me. This was in accordance with the general instructions given by the Fuehrer for Southeastern Europe and also, as I recall it, with a special directive of the Fuehrer which I received before my departure for Moscow, in which the Fuehrer authorized me to declare German disinterestedness in the territories of Southeastern Europe, even, if necessary, as far as Constantinople and the Straits. However, the latter were not discussed. I found Y who had turned very critical after the attack on Belgium and Holland, completely shaken by the vast military successes. He did not express a political opinion. On the other hand, Z was obviously inclined to believe from the religious point of view that a man who could bring off such successes must have God on his side. I am convinced that Hitler and, in a quite different way, Goering, have really played a great part in the successes. Although the achievements of the military leaders, the qualities that the new army has inherited from the old, and the contributions by such men as Gessler, Seeckt, Beck and Fritsch are being shamelessly suppressed. No one can deny the magnitude of Hitler's successes. But that does not alter the real character of his acts and the dreadful dangers to which all higher values are now exposed. A demonic Spartacus can have only a destructive effect if he is not counteracted in time. The tragic burden of not being able to rejoice at the successes is enough to drive one to despair. And among the people, stupendous obtuse indifference holds sway, as a result of their having been subjected for seven years to a barrage of loudspeaker orations. World War II: Japan formally requests that Britain close the Burma Road. Poland: 2,000 Polish prisoners are marched out of Wilejka prison by several hundred collaborators and the NKVD. Prisoners are shot/bayoneted by their escorts and attacked by German planes. Some 547 prisoners are missing five days later. Ultra/Magic: This day's 'Magic' Summaries, detailing intelligence decrypts of Japanese and German coded traffic, contain the transcript of the paranoid June 24 message to the Japanese ambassador in Moscow. The US, England and the Soviet have been fighting us for many long years . . . . At every internal and external chance they got, either at disarmament conferences or in the League of Nations, or by use of the Chinese, as witness the Manchurian and Chinese incidents . . . . Finally the state was reached where outright warfare broke out in Greater East Asia. During all this time, though the appearance belied it, they have been fighting us throughout, spiritually and physically, it is all the same . . . .
War in the Air: First of a series of Luftwaffe night raids on Birmingham. Yugoslavia: beginning of an offensive by German, Italian and Croatian forces against Tito's partisan army. Last February, when you wrote to me about those plans and the date for invading Western Europe, the difficulties of that operation were greater than they are now. 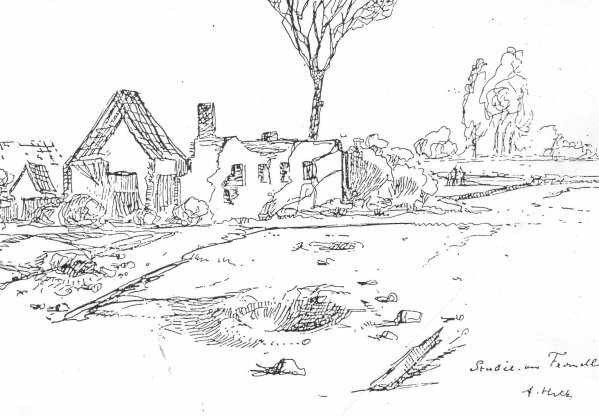 Since then the Germans have suffered more than one defeat: they were pushed back by our troops in the South, where they suffered appreciable loss; they were beaten in North Africa and expelled by the Anglo-American troops; in submarine warfare, too, the Germans found themselves in a bigger predicament than ever, while Anglo-American superiority increased substantially; it is also known that the Americans and British have won air superiority in Europe and that their navies and mercantile marines have grown in power. It follows that the conditions for opening a second front in Europe during 1943, far from deteriorating, have, indeed, greatly improved. That being so, the Soviet Government could not have imagined that the British and US Governments would revise the decision to invade Western Europe, which they had adopted early this year. In fact, the Soviet Government was fully entitled to expect that the Anglo-American decision would be carried out, that appropriate preparations were under way and that the second front in Western Europe would at last be opened in 1943. That is why, when you now write that "it would be no help to Russia if we threw away a hundred thousand men in a disastrous cross-Channel attack" a statement of this kind in relation to the Soviet Union is utterly groundless and directly contradicts your previous and responsible decisions . . . . There is no need to say that the Soviet Union cannot become reconciled to this disregard of vital Soviet interests in the war against the common enemy. You say that you "quite understand" my disappointment. I must tell you that the point here is not just the disappointment of the Soviet Government, but the preservation of its confidence in its Allies, a confidence which is being subjected to severe stress. One should not forget that it is a question of saving millions of lives in the occupied areas of Western Europe and Russia and of reducing the enormous sacrifices of the Soviet armies, compared with which the sacrifices of the Anglo-American armies are insignificant. War in the Air: The RAF launches a heavy raid on Elberfeld in the Ruhr. Moscow Victory Parade: Soviet troops parade past Red Square in celebration of their victory over Germany. As drums rolled, 200 soldiers performed a familiar ritual: They threw 200 German military banners at the foot of the Lenin Mausoleum. A little over 130 years earlier, victorious Russian troops threw Napoleon's banners at the feet of Czar Alexander I. Thousands of British and Allied prisoners of war, forced into slave labor by their Japanese captors, had built a bridge, under the most grueling conditions, 'over' the River Kwai, linking parts of the Burma-Siam (now Thailand) railway and enabling the Japanese to transport soldiers and supplies through this area. British aircraft bombed the bridge to prevent this link between Bangkok and Moulein, Burma. This episode of the war was dramatized in extraordinary fashion in the 1957 film Bridge on the River Kwai, directed by David Lean, and starring Alec Guinness and William Holden. The President: One moment. Dr. Von Ludinghausen, this is argument, not evidence. The President: No, we are not prepared to hear argument in the course of evidence. It is evidence for him to say that there were no plans made at that time for offensive action, but it is argument to say that rearmament does not necessarily involve offensive action. We do not desire to hear argument at this stage. Dr von Ludinghausen: Yes. Then please answer the question once more, whether there were in fact no plans to use the weapons created by rearmament for any aggressive purposes or for other violent action? Von Neurath: That is what I just said. I do not believe I need repeat it. Dr von Ludinghausen: What reasons were there, what facts, which made the situation of Germany appear particularly perilous? 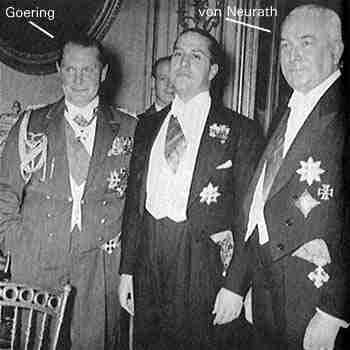 Neurath, at seventy-two the oldest prisoner in the dock, had served for five years as Hitler's foreign minister. He considered himself a victim of hysteria similar to that which had led to the trial of aristocrats during the French Revolutionary terror . . . . When he became excited, Neurath stuttered badly; and though his age did not show on his face, he exhibited a number of signs of incipient senility. His mind wandered, and Lawrence (President of the Tribunal) had to remind him that it was not sufficient merely to shake his head when responding to questions. 1948 Berlin Blockade: One of the most dramatic standoffs in the history of the Cold War begins as the Soviet Union blocks all road and rail traffic to and from West Berlin. The blockade turned out to be a terrible diplomatic move by the Soviets, while the United States emerged from the confrontation with renewed purpose and confidence. Following World War II, Germany was divided into occupation zones. The United States, Great Britain, the Soviet Union, and, eventually, France, were given specific zones to occupy in which they were to accept the surrender of Nazi forces and restore order. The Soviet Union occupied most of eastern Germany, while the other Allied nations occupied western Germany. The German capital of Berlin was similarly divided into four zones of occupation. Almost immediately, differences between the United States and the Soviet Union surfaced. The Soviets sought huge reparations from Germany in the form of money, industrial equipment, and resources. The Russians also made it clear that they desired a neutral and disarmed Germany. The United States saw things in quite a different way. American officials believed that the economic recovery of Western Europe was dependent on a strong, reunified Germany. They also felt that only a rearmed Germany could stand as a bulwark against Soviet expansion into Western Europe. In May 1946, the Americans stopped reparations shipments from their zone to the Soviets [Note: a rare explanation of Stalin's actions]. In December, the British and Americans combined their zones; the French joined some months later. The Soviets viewed these actions as a threat and issued more demands for a say in the economic future of Germany. On June 22, 1948, negotiations between the Soviets, Americans, and British broke down. On June 24, Soviet forces blocked the roads and railroad lines into West Berlin. American officials were furious, and some in the administration of President Harry S. Truman argued that the time for diplomacy with the Soviets was over. For a few tense days, the world waited to see whether the United States and Soviet Union would come to blows. In West Berlin, panic began to set in as its population worried about shortages of food, water, and medical aid. The United States response came just two days after the Soviets began their blockade. A massive airlift of supplies into West Berlin was undertaken in what was to become one of the greatest logistical efforts in history. For the Soviets, the escapade quickly became a diplomatic embarrassment. Russia looked like an international bully that was trying to starve men, women, and children into submission. And the successful American airlift merely served to accentuate the technological superiority of the United States over the Soviet Union. On May 12, 1949, the Soviets officially ended the blockade.